The issue you are reading now is special in more ways than one for us. We have just completed our 24th year of publishing the magazine and are entering our 25th year in 2016. 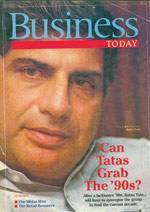 In January 1992, we published the first issue of Business Today magazine. It was perhaps the perfect time to start a magazine focused on Indian economy and business. The previous year, India had come close to defaulting on its external payments and had to seek a bailout from the International Monetary Fund (IMF). The pound of flesh that the IMF demanded was economic and market reforms. Till then, the Indian economy was largely closed, and worse, was characterised by the Licence Raj, with the government having a major say in every aspect of business. When the magazine launched its first issue, then prime minister Narasimha Rao and his finance minister Manmohan Singh had started on a path of economic reforms, which would be followed and built upon by all future governments. The danger to the economy had not receded completely and some of the most important steps to open up the economy and Indian markets were taken over the next four years. It was an exciting time to report on economic and business matters, and every issue of Business Today captured the rapidly changing economy. As the economy was being opened up, a number of corporate houses were going through their own churn, and having to redefine their corporate strategies. It was a time of great hope as well as of great despair for many big businessmen. Our first cover story posed the question: Will the 1990s belong to the Tatas? The group was seen as having missed much of the action in the 1980s, and the question was particularly pertinent. As it turned out, while the Tatas did okay in that particular decade, the next one was really the time when Ratan Tata expanded the group overseas dramatically to become one of the country's truly globally-focused groups. Meanwhile, another of our covers flagged the problems Vijay Mallya was facing, and asked the question: Is Vijay Mallya Broke? He was in a tight spot and selling assets, but he pulled through that time, though he made some of the same mistakes two decades later, which is why he has lost most of his empire now. The 1990s were also a time of great churn in management theory, and globally all big corporations were embracing new management movements, from TQM to re-engineering. These, along with economic reforms at home, completely changed the environment for Indian business houses. Business Today was the first magazine to start reporting on the new management revolutions, and we had an entire section focused on new management trends. 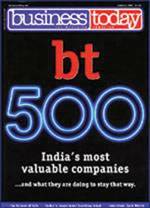 We also started our BT500, a listing of India's biggest listed companies by market capitalisation. As a magazine, Business Today pioneered many new surveys, to identify the best in class in different areas. In 1994, long before banking became such a hot area of business coverage, we had kicked off the Best Banks Survey. 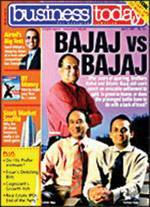 In 2007, we were the first publication to start a special issue focused on India's Coolest Start-ups, an annual survey that has become the most important survey of entrepreneurs and start-ups in the country. We started the annual ranking of the Best Companies to Work For in 2001, the yearly ranking of Best B-schools in 2003, and a ranking of India's best small and medium companies in 2009. We were also among the first to start the business confidence survey in the year 2011. When Business Today published its first issue, India was the world's 15th biggest economy with a GDP of $293 billion at current prices. Today, as I write this letter, it is the world's seventh biggest economy with a size of $2.2 trillion. It is expected to become the third-largest economy in the world by 2025. A combination of market size, young workforce, and slowdown in major developed markets are all propelling India to the forefront of international economic growth. Today, I firmly believe that India is poised at the cusp of unstoppable dramatic growth if the government goes ahead with the much needed second stage of economic reforms. 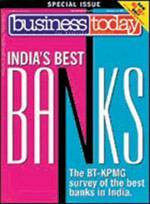 Over the past 24 years, Business Today has chronicled both the best times and the worst times of the Indian economy and the corporate sector. 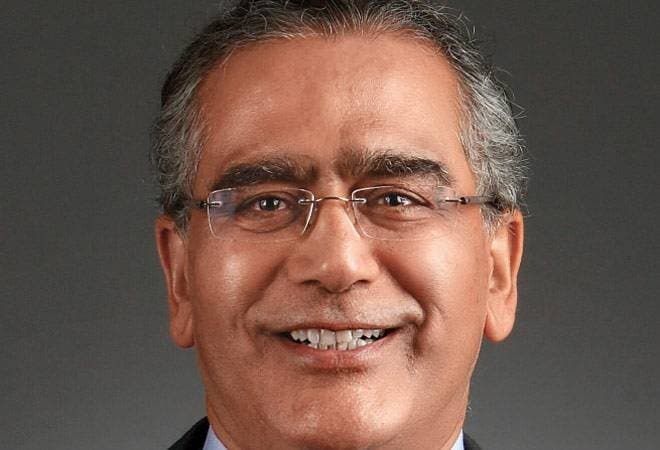 We have profiled Indian businessmen who have risen to run global business entities, and also those who have crashed and burnt and lost their empires after a series of missteps. We have chronicled the boom years of the global economy, the rise of the first dotcoms, the subsequent crash of 2001/02, and the global economic boom that followed in the first decade of the new millennium, before the crash induced by the Lehman Brothers crisis. But as we enter our 25th year of publication, the time has come to see what we need to do in the next 25 years to become a global superpower, not just in terms of our economic size, but in every area. And for that, we invited some of the foremost experts in India and abroad to write about what the country needs to do in specific areas to take its rightful place in the global power league.